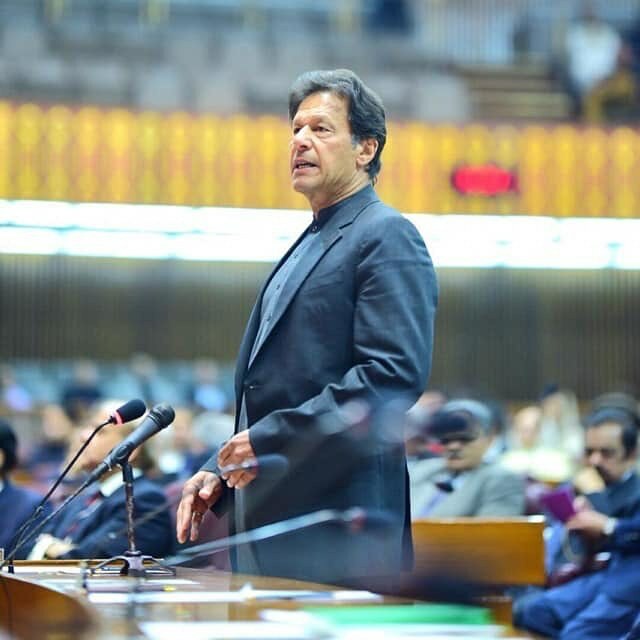 ISLAMABAD: Prime Minister Imran Khan on Monday suggested an interim setup in Afghanistan as a possible solution to an apparent impasse in the ongoing peace process, while blaming the Afghan government for the stalemate in talks. The suggestion came during PM Khan’s interaction with journalists at his office here on Monday. “The Afghan government was a hurdle in peace process that was insisting that Taliban should talk to it,” said PM Khan. The premier also confirmed that he had cancelled a scheduled meeting with Taliban leadership due to objections raised by the Afghan government. The Afghan peace process can only be successful if there is a neutral interim government, which can hold free and transparent elections to be participated by all the stakeholders, the premier said. “How much time it will take to set up an interim government and hold free elections, I cannot say,” he added. The peace process in Afghanistan, jointly backed by Pakistan and the United States, is aimed at ending the longest war that the US has ever fought. Taliban and the US have negotiated a draft of the deal that revolved around the exit of US forces from Afghanistan and guarantees by the Taliban to not allow use of Afghan territory by terrorist organisations, according to reports in the western media. The PM noted that the US had acknowledged and appreciated Pakistan’s role for bringing peace and stability in Afghanistan. He said the US thought it was only Pakistan that could bring Taliban to the negotiating table. Premier Khan also briefly spoke about Pakistan’s relations with other countries, including India. He said that foreign policy had started producing results and Pakistan’s relations with the US were at the best in the past 20 years. The relations with China, Turkey, Saudi Arabia and the UAE were also exemplary, he added. PM Khan maintained that there was no hope for improvement in relations with India at least until the upcoming general elections. “Pakistan needs to be fully alert as threat by India is possible until their elections. The nation must not let down their guards,” he added. 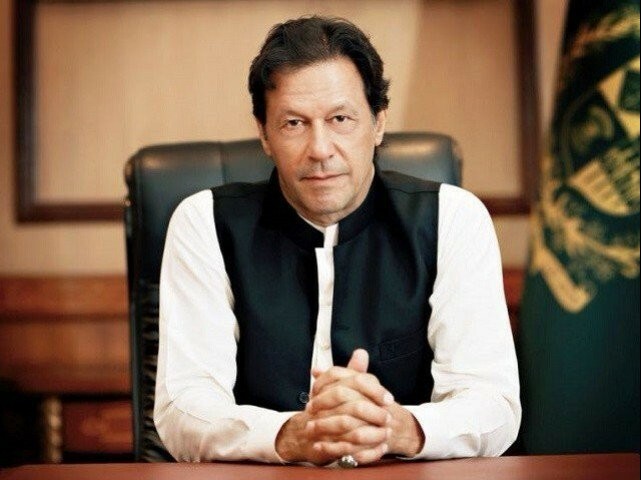 Speaking about the domestic politics, t­­he prime minister said that he was fully satisfied with the performance of the federal cabinet and chief ministers of Punjab and Khyber Pakhtunkhwa. He pointed out that Usman Buzdar’s comparison was being made with Shehbaz Sharif who had remained in power for the last three decades. Responding to a question regarding the performance of his ministers, the premier said that there were always good and bad players in any team and he was conducting regular cabinet meetings to monitor the performance of his lawmakers. The premier noted that there was no corruption case against Buzdar and he was taking care of the lowest income group strata. He said that Shehbaz had misused prime minister’s helicopter and caused the exchequer a loss of Rs350 million. Commenting on PML-N supreme leader Nawaz Sharif’s refusal to seek medical treatment within Pakistan, Prime Minister Khan asked why, if the Sharifs were in power for 30 years, they were unable to “build one hospital where they themselves could be treated”. “Ishaq Dar’s father used to sell bicycles; even he gets his treatment in London now,” the premier observed. He also made it clear that he would not allow any convict to cut deals with the government, while stressing that the law does not allow any inmate to be accorded treatment that 150,000 other incarcerated individuals cannot receive. The premier said that some political parties wanted to launch a mass movement to save their corruption, but no movement in the history was successful that was aimed at serving vested political agendas. PM Khan said that he was not afraid of a mass movement threat, reiterating his offer to provide a container to hold rally at D-Chowk, Islamabad. Speaking about the National Accountability Bureau, the premier stated that the organisation is independent of the government and noted that all corruption cases being pursued against leaders of other political parties are ‘old’. “Bilawal Bhutto is making a lot of noise, [but he forgets that] the fake bank accounts case has been under investigation since 2016. Corruption in this country will only end when the major players are held accountable,” he said.